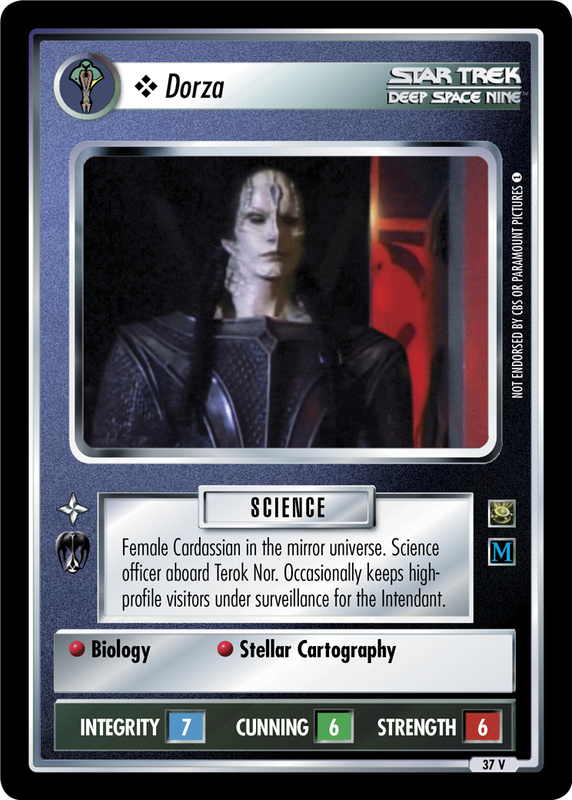 Female Cardassian in the mirror universe. Science officer aboard Terok Nor. Occasionally keeps high-profile visitors under surveillance for the Intendant.